Big News! Lie-Nielsen Toolworks is coming to my studio to showcase their hand tools and techniques for using them. Information is below. You can also print out the flyer by clicking here. Lie-Nielsen Toolworks(R), the premier US manufacturer of heirloom quality woodworking tools, is bringing its popular Hand Tool Event(R) to Salt Lake City, UT on November 20-21, 2015 at C. Timm Custom Furniture. This event is part of the company’s ongoing international program to expose woodworkers of all ages and skill levels to the benefits of traditional hand tools and techniques, and is a rare opportunity for the public to receive first-hand instruction directly from the toolmakers. “We started these events to expose more woodworkers to the improvements in quality, environment, and enjoyment that handtool work can offer,” says Lie-Nielsen founder and president Thomas Lie-Nielsen, “and over the past decade we’ve seen their popularity explode with new and experienced woodworkers alike. Lie-Nielsen staff will help demystify the world of hand tool woodworking and cover topics like sharpening, tool setup and use, and joinery. Visitors are encouraged to get hands on and ask questions. Lie-Nielsen also invites guest demonstrators to showcase their work at these events. Guests include independent toolmakers, woodworkers, and educators who share their values for quality craftsmanship. The guests for this event will be posted here. 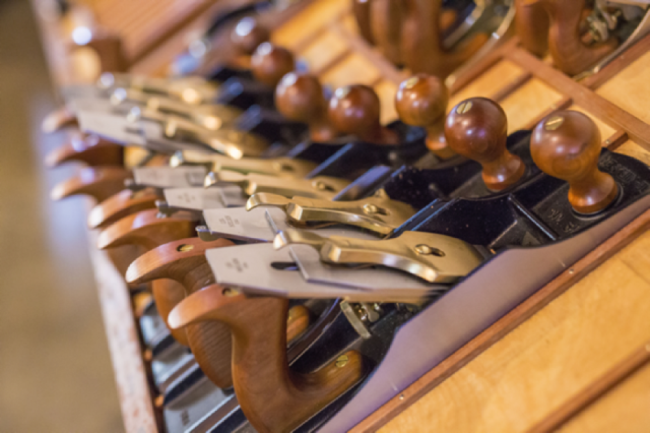 Lie-Nielsen Toolworks makes heirloom quality, woodworking hand tools in Warren, Maine, and takes pride in providing exceptional support to their customers. Lie-Nielsen Hand Tool Events travel to cities around the country to promote woodworking education in the use of hand tools. Lie-Nielsen also offers weekend workshops, instructional videos, and encourages visitors to tour their showroom and shop in Maine. For more information about this event, please contact Josh Masse at (800) 327-2520, email marketing@lie-nielsen.com, or visit www.lie-nielsen.com/hand-tool-events. So you want to choose a handplane do you? Well, don’t rush off to your local Home Depot store just yet! 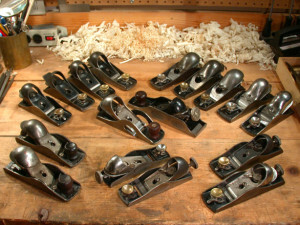 There are a few things you need to know about handplanes before you go out and buy the cheapest one available. Chatter: A common problem with lower quality handplanes, chatter is a term used to describe a plane that skips or stutters through a cut, leaving ugly marks behind. Backlash: Backlash is a necessary evil in tooling; without it, moving parts would seize up. 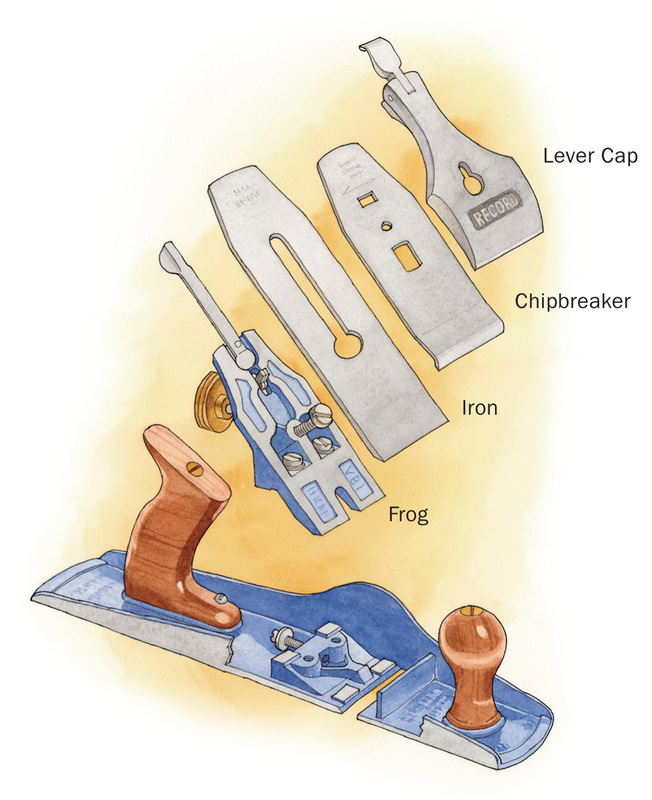 On handplanes, you’ll notice it the most when you adjust the blade forward or backward while dialing in the depth of cut: the knob will spin freely for a moment before engaging the threads. Too much slop in the backlash indicates subpar machining. The lever cap holds the plane iron and chipbreaker assembly into place. Smoothing the underside allows for easier depth adjustment. Reshaping the top and the bottom allows shavings to slide up and over the chipbreaker instead of getting stuck. A replacement blade made from A2 cryo steel will keep an edge longer than other steel types. The frog connects the blade to the body. Poor contact with either will result in vibration and chatter.